Easter in Comayagua, a small but deeply religious town near the capital. 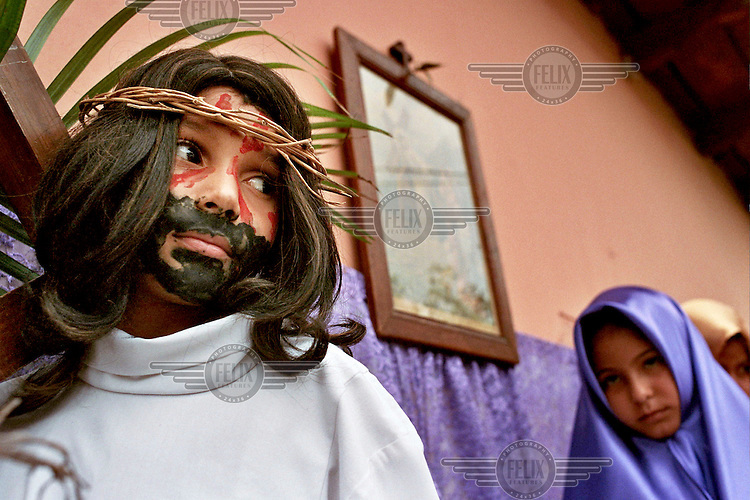 Every year the town takes part in the Passion of the Christ, a procession where the children of the town reinact all the stations of the cross, culminating in the crucifixion. Restrictions: Not available in Belgium, France, Italy or the Netherlands.